Where to begin? Should I address the 14 year sabbatical he took in between albums? What about his run ins with the law during that downtime? How about the fact that this album has been talked about on and off for the past six to eight years with little to no evidence that anything would materialize other than blind faith and ?uestlove reassurances? I could go on and on, but honestly, none of that really matters anymore. A little over a month ago, Michael Eugene “D’Angelo” Archer finally put out his new album Black Messiah…and it’s good. Damn good. When I saw that a new D’Angelo album was actually going to be released via Instagram posts by Q-Tip and a couple short YouTube spots, I immediately brushed it off as more speculation and rumor. Three days later, like magic, it was on iTunes. It took me a while to figure out if this was some sort of sick joke, or if the album that was originally titled James River was finally available for public consumption. Thankfully, the latter was the reality, so I immediately purchased my copy, shut out the outside world (read: turned my phone off,) and pressed play. For starters, I’m not the type to listen to any artists’ body of work and judge it based solely on their previous efforts. While that does come into play, I always take into consideration that an artists’ music (and the artist themselves) will naturally adapt and evolve into something different over time. Their lives change, and our own personal circumstances are different as well (grade school listening vs. college age listening.) In that regard, it would be unfair to compare Black Messiah to Voodoo in a direct sense because I LOVED Voodoo, but it was released when I was 13 years old. Being 27 now, my taste in music has evolved, and life in general has taken place as well. In D’Angelo’s case, his second album dropped when he was 25, going on 26, and he is now 40 years old. It’s only right to assume that he would have changed between now and then, and it definitely shows in his music. That being said, is that really a bad thing? I’m delighted to tell you, not at all. Unlike many artists of our current generation, D has the unique ability to create timeless music. He’s not the type to be clumped together in the endless supply of one-hit-wonders that plague our modern listening experiences. When Voodoo (and to a certain extent Brown Sugar)came out, he ultimately changed the landscape of R&B and soul music, and you can still feel the ripple effect of that album in many artists to this day. For a moment, forget about the fame, the glory and the infamous Untitled (How Does It Feel?) video. If you took all of those things out of the equation, he remains relevant because his song writing keeps him significant through the ages. Michael Jackson had that ability, Prince has that ability, and D’Angelo has it too. Voodoo wasn’t simply a fantastic album because of the immaculately crafted production, or the silky smooth vocals of the lead singer, it was incredible because of the lyrical content. There are very few writers who have the uncanny ability to match emotions, motives, meanings and melodies in a way that you not only hear it, you feel it. Given how that as the strong point of Voodoo, it’s honestly quite remarkable that his talent hasn’t faded one bit in the 14 year gap that we had to suffer through just to see if Voodoo was a one off occurrence (not to slight the dopeness of Brown Sugar,) or if D’Angelo really had the goods to deliver time and time again. After allowing this album one month to digest, I can conclusively say yes to this inquiry. The first time I heard it, I instantly remembered why I loved his music so much back then, and still do to this day. He truly sings directly from his soul, and you can feel it. By the time you get to the bridge and hear “I got just what you neeeeeeed, babe / All this love you’ll receive, babe / I been waiting so long,” D’Angelo’s got you hook, line and sinker. Honestly, this album’s got it all. If you’re looking for some bounce to brighten up your daily activities, then the smooth, nostalgic Sugah Daddy will be right up your alley. Back To The Future (Part I & II) will do the trick as well. The chill vibes are heavy on both renditions, and it almost makes you feel like you’re in a speakeasy watching one of the best jam bands you have ever heard (courtesy of The Vanguard.) If you want to fight the power and stick it to the man, 1,000 Deaths is the second track sitting there just waiting to smack you in the face. Taking into account the eight year recording process for this album, and given the recent events surrounding police brutality that happened towards the latter half of 2014 (we don’t know when this song was actually recorded,) it was sure as hell released at the right time. More specifically, the line “degradation so loud that you can’t hear the sound of our cries” immediately stood out to me because it is such a succinct way of expressing our current socioeconomic climate. Ironically, the underlying message is hidden from the casual listener because the musical backdrop is so well constructed that it is easy to get lost in. It’s quite impressive how sneaky it is, and I applaud him for it. By now, you’re probably wondering “all of this sounds good and all…but it’s D’Angelo. What about the love songs?” Trust me, they are here, and they are fantastic. While all of the songs subconsciously dabble in the love theme (love of one another, love of the Earth, love of mankind, etc.,) the tracks that put it on front street are the ones that really shine. The first true ballad and also the first true single, Really Love immediately lets you know that Mr. Archer’s still got it. From its Spanish guitar laden introduction, to its lullaby-esque crooning, this track is all business. I can see people two-stepping to this for years to come, and hopefully it’s played at the next wedding I attend. Betray My Heart is a reassurance that no matter what goes on in life, good or bad; he will always be there to support you. If that isn’t love, then I don’t know what is. The Door continues the verbal wooing as D practically begs and pleads the lady in his life to reconsider trampling on his emotions, or else suffer the consequences of losing him. It would appear that once you break D’Angelo’s heart, there is no turning back. There is a lot of pain felt in this, and it makes it a bit heartbreaking to listen to. Aside from those three cuts, we have quite possibly the albums coup de grâce in the form of Another Life. After the first playthrough of the album, this was the song that firmly solidified my position of “Yeah, D’Angelo is back.” He delivers his vocals in a style that is the most comparable to his sound on Voodoo, yet it’s done so smoothly that it becomes its own beast. When it tell you that he hits those high notes, the man hits those high notes. If you zone out while it’s playing, you would swear that they are their own instrument. Aside from that, the background harmonies and strong piano play really drive this one home. After listening to this album an immeasurable number of times at this point, Another Life was clearly the best choice to end the album with. Even after all of this high praise you have just absorbed, the age old saying still rings true; what goes up, must come down. Thankfully, there isn’t a lot to gripe about with the album. 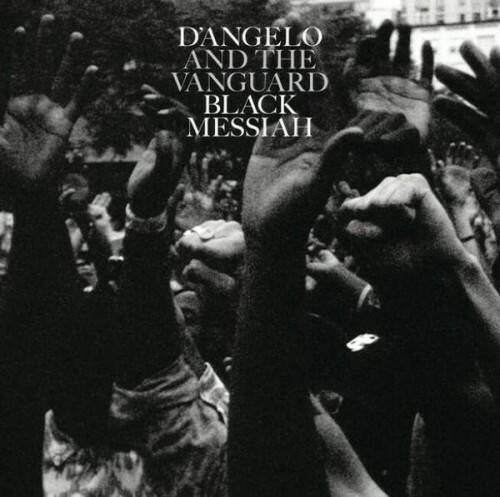 One key thing that garnered significant amounts of hate on Black Messiah was that a lot of D’Angelo’s vocals are seemingly muffled throughout the majority of the album. While I understand how this could be very off-putting to many, I easily corrected this issue the same way I did for the Voodoo album (which interestingly enough had relatively the same problem.) All I did was listen to it one time through with the lyrics readily available. After I did this, I was able to pick up on all of the vocal subtleties that the album had, and it really allowed me to enjoy the album much more than before. While I realize that the vast majority of people will opt to not go this route, I feel like that is the best way to optimize your listening experience. Trust me, it’s worth it. That being said, easily the most glaring problem I have about the album is found on the second track 1,000 Deaths. In theory, it should be a song that works, but it’s damn near impossible to hear anything he is saying (even after using the lyric sheet method.) I’ve tried turning the bass completely off and the treble way up on my stereo and headphones, and even that yielded mediocre results. It’s a striking blemish on an otherwise pristine, polished production, and if the project ever gets remastered for any reason (which I doubt will ever happen,) that will be the only time I might be able to give it another listen. Until then, it will probably live on as the only song I skip on this album. After Black Messiah’s release on December 15th, I saw three main topics about it on Twitter: it’s amazing; it’s terrible; and who cares? While I expected the first two (every time something that’s even remotely anticipated is unleashed, it gets dubbed either a classic or dog s#!t within an hour because of this information era we are in,) the most startling topic was easily “who cares?” Initially, I went straight into my proverbial “old man” mode and starting thinking to myself “kids these days don’t know what’s good or what’s important, blah blah blah etc., etc.,” and then I realized something crucial to the argument. Most of the people talking about the album who thrive on the social media platform were either too young or weren’t even alive to hear, let alone appreciate the masterpiece (in my opinion) that Voodoo was. In the grand scheme of things, that makes sense because it doesn’t really feel like the album was made for that generation anyway. This project is an homage to musical legends before him, and with that, D’Angelo somewhat unintentionally alienates a younger audience. That’s not to say that a younger generation won’t appreciate this album for what it is, it just seems like many of them will have a harder time digesting it because a lot of the sounds and grooves on it are based on classic soundscapes from an older era. Regardless, it’s ultimately his attention to detail that has kept him relevant over time. His song writing is always concise, making it feel like he’s always saying just enough for you to get the point. As we’ve grown to expect by now, his diction and delivery is unlike anybody else in music. If you watch any interviews with him and/or ?uestlove, you will notice that they talk about how they use J Dilla’s patented “drunk” drum pattern style in their music to give it that distinct texture, and this method is on full display throughout this entire project. At times, it’s almost as if D’Angelo not only implemented the drunk drums, but he somehow made every instrument on here flow as nonchalantly as the drums do. Structurally, nothing on this album would fit into a pre-rendered metronome composition, and it sounds infinitely better because of it. Some hi-hats are out of place, some guitar riffs go on just a little bit too long, but somehow it all comes together to create something beautiful. It’s actually quite an accomplishment when you really think about it because the man made an album that directly defies many aspects of conventional music. The influence of his musical forefathers is magnified on this project, and he has seemingly taken every bit of knowledge he has acquired over time to sculpt this album into something that even they would be proud of. You know Prince was in a purple mansion somewhere smiling as he listened to Black Messiah (don’t quote me on that, but you can infer that it’s pretty much a fact.) His hiatus’ make him a mythical creature, and the real reason his absence is really noticeable is because his style is so unorthodox. That makes it virtually impossible to mimic him, therefore allowing him to reach iconic status amongst the music community. It’s the same reason why people are still waiting for Dr. Dre’s much anticipated Detox album. But hey, if D’Angelo can rise from the ashes to release the stellar Black Messiah, who knows, maybe Detox is next. I wouldn’t mind hearing two audio versions of unicorns within the same year. If not, it’s okay. I’ll gladly wait another 14 years to hear what else D’Angelo’s got up his sleeve. I will be 41, he will be 54, and it would still be perfect timing.